Fractured Veil is a new, futuristic multiplayer game of survival. The game creators wanted players to interact with each other on more than the game level. Our job was to integrate social media outlets so that players can find their friends already playing the game, or invite friends to play. To implement a referral system that handles invitations from Fractured Veil players to play the game and a reward system based on the amount of registered users invited by particular player of the game. 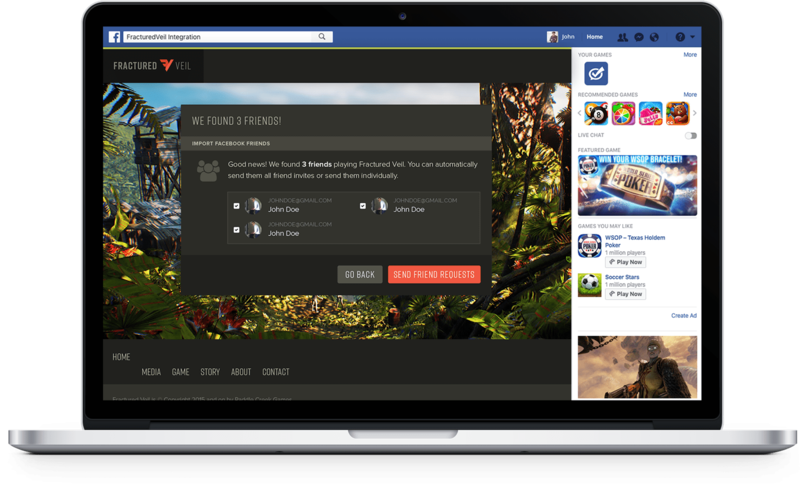 To integrate the Fractured Veil game system with external APIs from Google, Steam, Twitter, Twitch and Facebook in order to allow Fractured Veil players to check if any of their friends on social media play Fractured Veil and connect with them in the game. 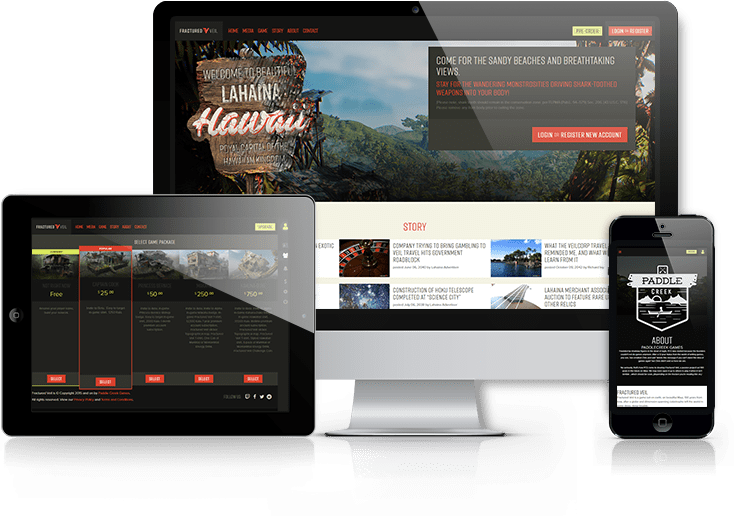 Paddle Creek Games is a company that creates games. Founded by passionate gamers – for gamers. The goal was to build a user invitation system that allows users to invite their friends to play the game and get rewarded for doing so. 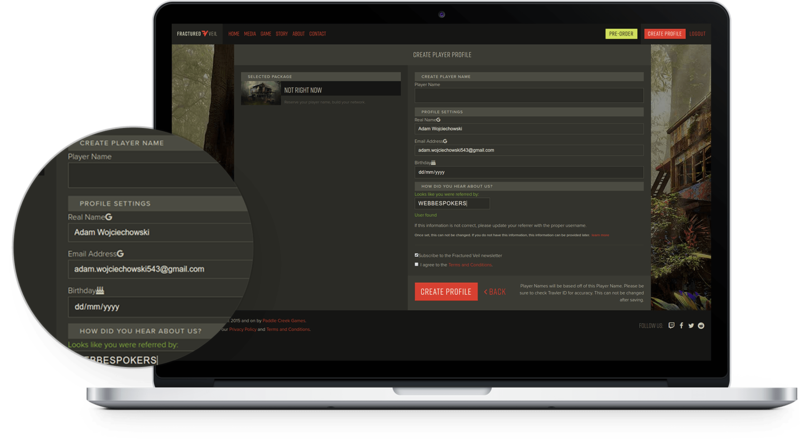 Players can invite their friends by sharing a link to their profile, sharing one of the blog posts about the game or via email. The link that’s shared contains a parameter in the URL that tells us which player shared the link. Anyone that clicks the shared link and creates an account is marked as referred by the user who shared the link. 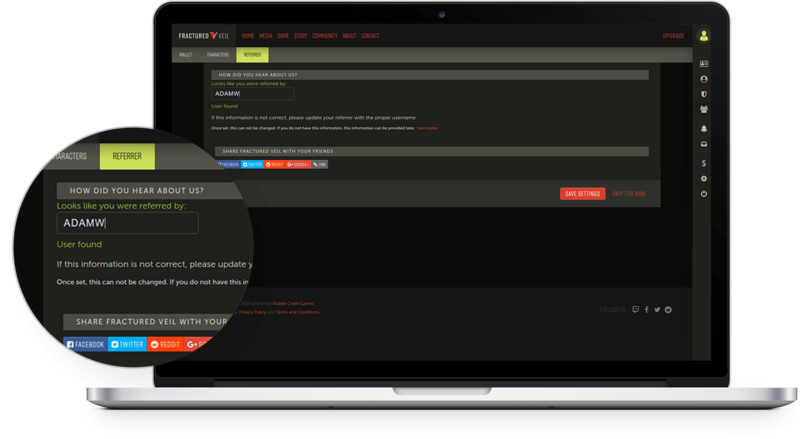 The referrer is visible while creating an account and can be changed at this stage. 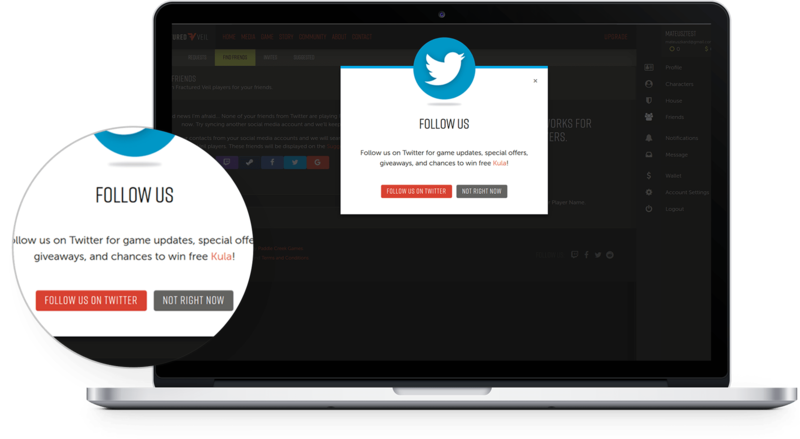 The referrer is rewarded for each referred user in Kula – the internal currency in the game. 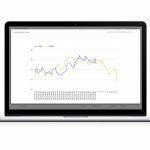 Kula earned is stored in the in-game wallet and can be exchanged into real currency to withdraw. 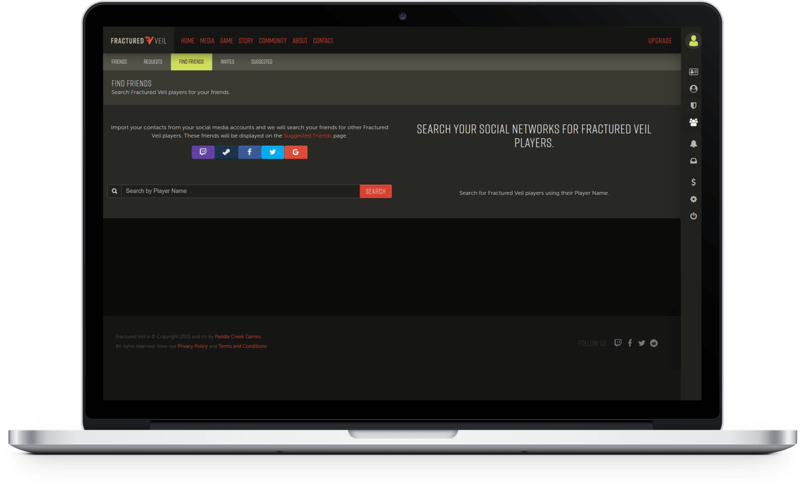 Fractured Veil was integrated with Twitch, Steam, Facebook, Twitter and Google via their APIs. 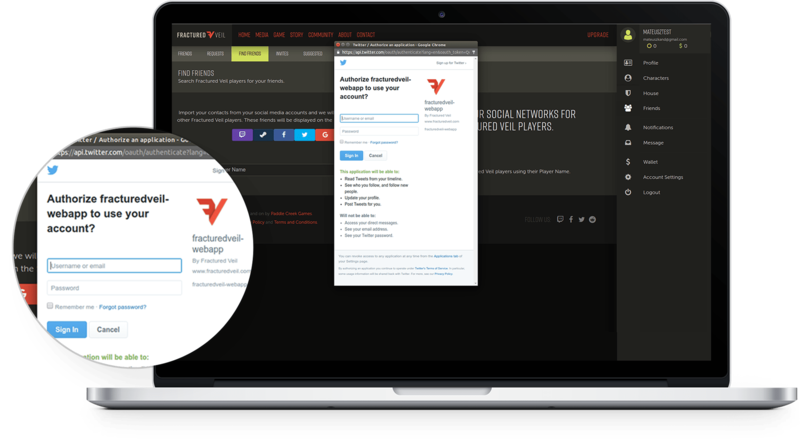 The main purpose of the social media integrations was to allow users to check if any of their friends play Fractured Veil. If they do, then these friends from the social media channels are displayed as suggested friends on Fractured Veil. Details specific to each integration are outlined below. 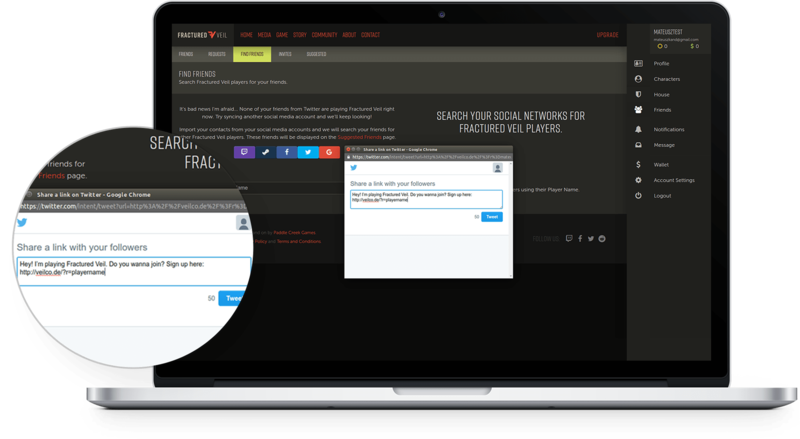 Fractured Veil was integrated with Twitch and Twitter API on many layers. We made it possible for Fractured Veil players to check if any of their Twitter/Twitch friends play Fractured Veil. Players can also follow the Fractured Veil Twitter/Twitch account with just one click and no need to leave Fractured Veil. In the same easy way, they are able to share on Twitter and Twitch that they synced their social media account with their Fractured Veil account. The message they share on Twitter/Twitch contains the referral link that brings to them certain benefits in game (see Referral system described above). We made it possible for Fractured Veil players to check if any of their Twitter/Twitch friends play Fractured Veil. Players can also follow the Fractured Veil Twitter/Twitch account with just one click and with no need to leave Fractured Veil. In the same easy way, with just one click they are able to share on Twitter and Twitch the fact that they synced their social media account with their Fractured Veil account. The message they share on Twitter/Twitch contains the referral link that brings to them certain benefits in game (see Referral system). Additionally, while the Fractured Veil player is syncing their Twitch account with the game account, the Fractured Veil Twitter/Twitch profile automatically follows the Twitter/Twitch profile of the Fractured Veil player. Plus, on Twitter, the Fractured Veil Twitter account tweets the player with a ‘thank you’ message for playing the game. 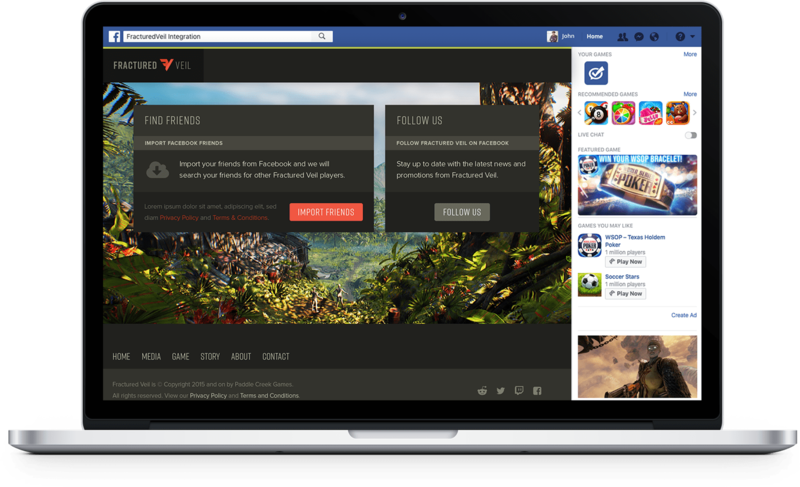 We created a Facebook app that allows players to search their Facebook friends for other Fractured Veil players. With one click, Facebook friends can send each other Fractured Veil friend requests with no need to leave the app. 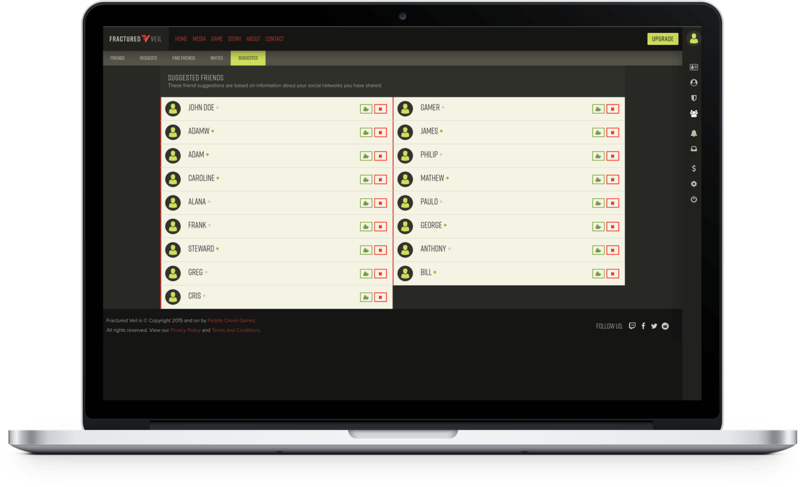 The Fractured Veil Facebook app was created as a module for Django backend so it’s an integral part of the project.